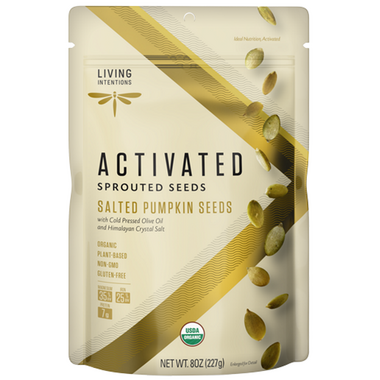 These Sprouted Pumpkin Seeds may give you the satisfying crunch of a game day snack, but every bite contains the superfood goodness of nutritious sprouted seeds, lightly seasoned with mineral-rich Himalayan crystal salt and drizzled with cold pressed olive oil to liven up your day. We love these sprouted pumpkin seeds! They are so delicious and good for you.